A new study suggests a multivitamin a day could help reduce the risk of cancer in older men, but one expert cautions there's a lot more work to be done before the dietary supplements can be hailed as cancer fighters. Brigham and Women's Hospital researchers released the findings of the exhaustive study that found multi-vitamins cut cancer risk by 8 percent at a conference in California yesterday. "The main benefit to taking a vitamin is to make up for any deficiency, but it certainly appears that there may be a modest benefit in preventing cancer in men over 50, too," said Dr. J. Michael Gaziano, the study's lead author and the head of Brigham and Women's aging division. Tufts University Cardiovascular Nutrition Laboratory Director Alice Lichtenstein called the results "interesting" but warned there's a lot more research that needs to be done. "We don't know whether those individuals were borderline deficient in any critical areas," she said. "On the basis of this study, there may be a benefit to taking a multivitamin, but it's a very modest benefit." For 11 years, Gaziano and his team tracked the health of 15,000 male physicians, all of whom were at least 50 years old when the study began. 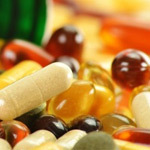 To determine, for the first time, if there are any long-term benefits of taking a multivitamin -- something about one third of all Americans already do -- researchers gave half the study participants multivitamins and told them to take them every day. The others received a placebo. After 10 years, Gaziano said, researcher found that the men who took daily multivitamins had an 8 percent reduction in total cancer, when compared to the placebo-taking group. The vitamin-taking group also had fewer cancer-related deaths, the study shows. Now, researchers are probing the data to see if there are any links between daily multivitamins and cardiovascular disease.